What is the Ultimate Canon Landscape Camera for 2019? What are the important features for a landscape camera/lens? 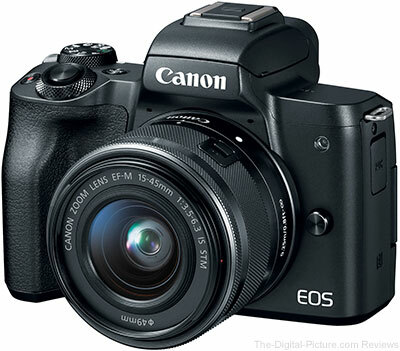 Truth is, any of Canon's current EOS DSLR and mirrorless camera models will work very well for landscape photography. So, it is hard to make a bad decision for this pursuit. In general, landscape photography involves subjects in a fixed position, going nowhere. This means that a fast frame rate and highly sophisticated AF system are not as important in most cases. Still, some cameras are better choices than others. What makes a camera the better choice for landscape photography? The camera's imaging sensor is one of my highest considerations when choosing a landscape camera. Landscapes typically contain fine details and a high resolution imaging sensor is ideal for pulling these out. As long as the pixels are equal, more pixels are better. Because landscape images are often so beautiful, they are frequently printed very large and placed in conspicuous locations. 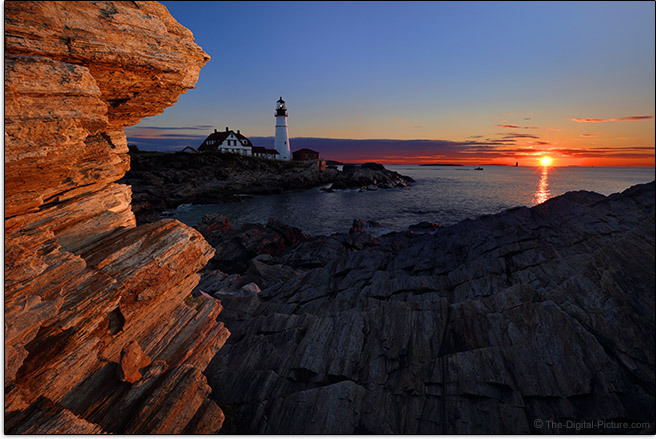 This is another reason why high resolution cameras are preferred for landscape photography. A similar benefit of having a high megapixel count is that stitched panoramas are not needed as often. A wider focal length image can be cropped to the proportions desired when the camera's native pixel dimensions are adequate for the output size. Landscape photographers venturing away from the road will likely appreciate durability and weather sealing. Hiking over challenging terrain can lead to camera-damaging falls and surprise rainstorms are not unusual. Some landscape photography, including waterfall photography, is best done on cloudy days and clouds of course can bring rain. While on the waterfalls topic, this subject itself can lead to water landing on a camera. Related to durability is the camera's base plate and overall solidness on a tripod. Lower end cameras will show more flex than more-rugged models when mounted on a tripod. However, lower end and mid-grade cameras tend to have the vari-angle LCD that is also helpful in some landscape situations. Some cameras have additional features beneficial to capturing landscape imagery including a built-in intervalometer and HDR capabilities. Again, any current model Canon EOS camera is good enough for landscape photography, but some models rise above the rest. The 5Ds R has been my #1 landscape camera recommendation since it was introduced. This camera's 50 megapixel full frame imaging sensor, with an optical low pass filter effect cancellation technology in use, creates extremely sharp images with incredible detail and color. No other DSLR or MILC available at this time can touch the resolution this one delivers. 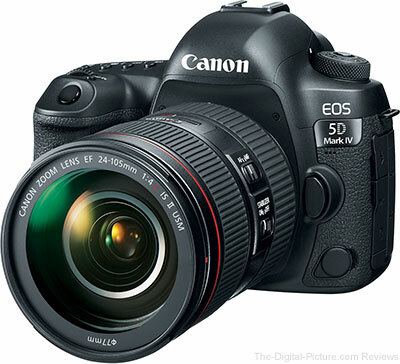 The 5Ds R is my first choice daily-use camera. If there is no action involved, this is the camera in my hands and I use this model extensively for evaluating lenses. While the 5D Mark IV's full frame imaging sensor does not reach the 5Ds R's resolution, 30.4 megapixels is still a big number and the only other landscape-relevant 5Ds R advantage is the self-timer with mirror lockup combination feature. The 5D Mark IV, reaching the market a year later than the 5Ds R, received a superset of the 5Ds R's features, including Dual Pixel CMOS AF (with Movie Servo AF) and 4k video. Landscape photographers have will love this camera's excellent dynamic range and of course, it has the awesome Canon color you love. The 5D IV is a fabulous general purpose camera and a great choice for landscape photography. 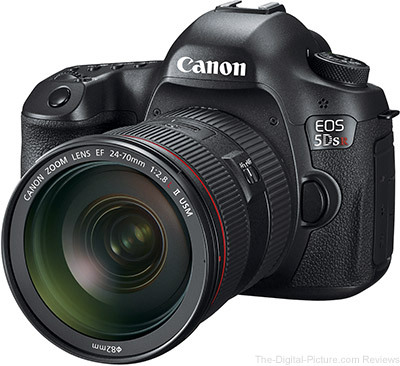 The Canon EOS 5D-series made full frame imaging sensor-format cameras affordable and the Canon EOS 6D-series models took that affordability to a new level. For a moderate price, the 6D-series cameras deliver full frame image quality greatness and, in addition to having the most-needed features, the 6D Mark II brings many of the latest technologies with it. The 6D Mark II's 26.2 megapixel resolution trails the 5D IV by only a modest amount, an amount considerably less than the price difference. As I write this, the 6D Mark II is Canon's best-available camera with a vari-angle LCD and the compact size and light weight of this model will be appreciated during long days in the field. When you want a really good camera but do not want to pay the price for a full frame model, the 80D is probably the right option for you. The size of this camera makes it easy to handle and the bright, large viewfinder is pleasant to look through. 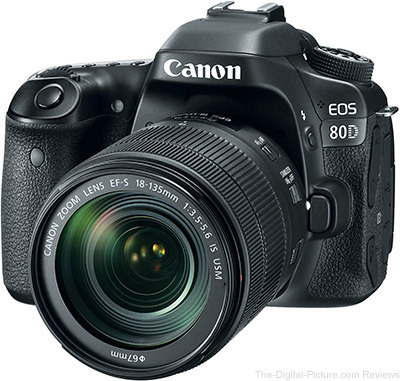 The 80D, another camera on the General Purpose Camera Recommendations list, has overall great performance and its huge feature set makes it the ideal choice for landscape photography as well. For those on a budget, the Rebel T7i is an attractive choice for landscape photography. 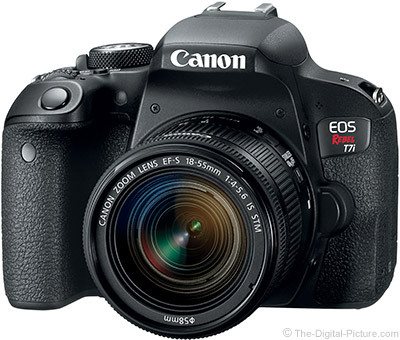 The EOS Rebels are Canon's lowest-end model line, but the T7i is the flagship model of this line. This camera offers a very adequate feature set in a compact and lightweight body that is especially ideal for long hikes and backpack trips. Not only for those on a budget, but especially for those requiring the lightest camera possible, such as for long hikes and for backpacking, the Canon EOS M50 is a great landscape camera choice. While the Canon EOS M100 is even smaller and less expensive, I find the EVF (electronic viewfinder) on the M50 to be important for landscape photography, especially when the sun is up. The M50 (and M100) has image quality as good as any other Canon APS-C camera available at its introduction. Remember, having a camera with you is always better than not having one with you and with an M50 in the kit, it is easy to always have a camera with you. Or, a couple of them. Often, the lens is the limiting factor in a camera's image quality and the easiest way to improve your camera's image quality is to put a better lens in front of it. The Landscape Lens Recommendations will help you select the right lens for your landscape camera. Return to the Camera Recommendations.